The Washington Seaplane Pilots Association is hosting a Pop-Up Splash In at the Sudden Valley Community Picnic Shelter on Lake Whatcom this coming Sunday, September 10th from 11:00AM - 3:00PM. This Pop-Up Splash-In is in lieu of our cancelled Priest Lake event. We hope to see many of you at Lake Whatcom on Sunday. This is a Free Bring Your Own Picnic Event. Meet at Picnic Shelter Tables. 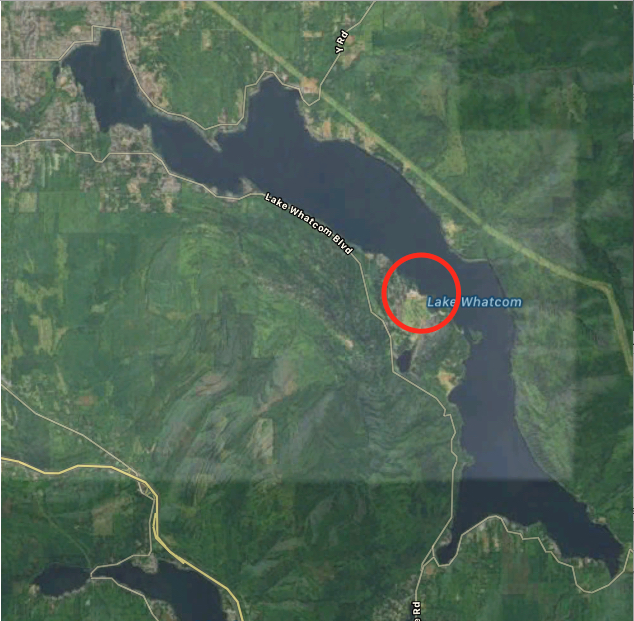 Use 122.90 on approach and departure from Lake Whatcom. 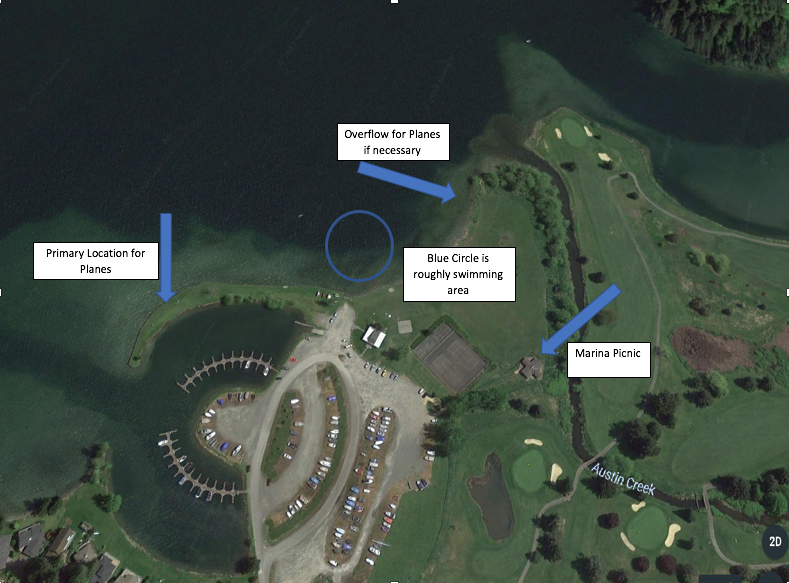 See Attached Aerial Images for Preferred docking/beaching locations. Observe Invasive Species Guidelines below. Inspect plane before arrival. WSPA will handle the requested reporting for you. Don't let that stop you from coming. Fly Quiet. Dial That Prop Back unless you really need all those RPMs. There will likely be an impromptu talk about our recent eclipse splash in. There will certainly be lots of good seaplane chatter. Come & Enjoy. There are lots of other seaplane accessible destinations in the area that you might consider working into your plan for the day. Take a look at our Destinations Map by clicking this link. Use caution on bodies of water with low water exposing stumps and snags, in particular Baker Lake if you choose to go there enroute. - In addition to the above, pilots operating Resident Seaplanes (a seaplane based at either lake), will have the aircraft inspected by City inspection staff and purchase an annual AIS permit ($50) which shall be affixed to the aircraft or carried onboard the aircraft. - The City is requesting pilots voluntarily submit a periodic report of operational activity on either lake including landings on water bodies other than Whatcom and Samish. - Additional requirements exist if the aircraft has operated from a water body known to be infested with Quagga or Zebra mussels. Again this year the City of Bellingham is requesting that any pilots/owners with seaplanes based at Lake Whatcom or Lake Samish make an appointment with inspection staff to get their planes inspected and permitted for 2016 by calling (360) 778-7975. The pilot/owner will also need to take the online Whatcom AIS Awareness Course at whatcomboatinspections.com/ais-awareness-course to receive a $10 discount for the purchase of their Annual AIS Permit in 2016. (Note: The course must be completed each year to receive the discount). The City is planning to revise the course in 2017. For more information on permit fees visit: whatcomboatinspections.com/annual-permits-and-fees. WSPA is encouraging local pilots to make visiting pilots aware of this cooperative agreement. The risk of AIS introduction into our local lakes is real and we all want to enjoy and benefit from continued floatplane operations on Lakes Whatcom and Samish.